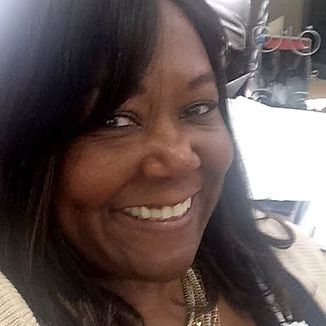 Gail Shaw-Hawkins started her teaching career in Detroit, Michigan. At present she teaches at Evergreen High School, which is one of 45 Continuation High Schools that are part of the Los Angeles Unified School District’s “Options Program” for At-Risk students. She started working for Los Angeles Unified School District in 1997 at Mission High School, where she was an active member of the Los Angles Women At-Risk Program for young high school girls formed through the City of Los Angeles, Office of the Mayor. While teaching for Los Angeles Unified School District she has volunteered for many student oriented programs such as The ADL Holocaust Education Institute, AIDS Project Los Angeles, Student Run LA, and Council for Educators administered by Council in Schools, a program of The Ojai Foundation, just to name a few.